Neha Kakkar and Mohd. Irfan gave a soulful spin to the songs ‘Kabira’ and ‘Naina’ in the first episode of T-Series Mixtape and we all loved it, didn’t we? Well, it’s time for another treat for all you music lovers out there. 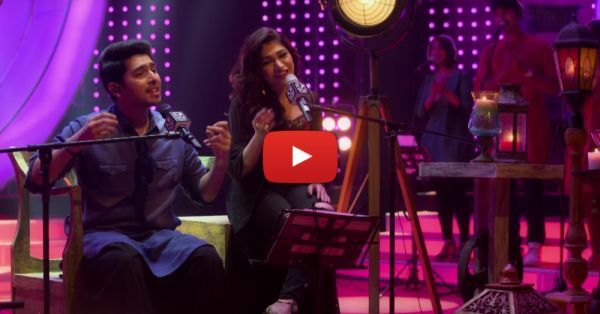 T-Series has brought to us the third mix from it’s ‘Mixtape’ series and it’s medley of two of our favourite songs ‘Tose Naina’ and ‘Tum Jo Aaye’ in the voice of Armaan Malik and Tulsi Kumar. The cover is totally out of the world. So just close your eyes, play it on the loop and let some soulful music soothe your heart. Here you go! P.S: If you loved it, then let us tell you the next episode is going to be a fusion of ‘Tu Jo Mila’ and ‘Raabta’. Excited, much? Well, stay tuned!